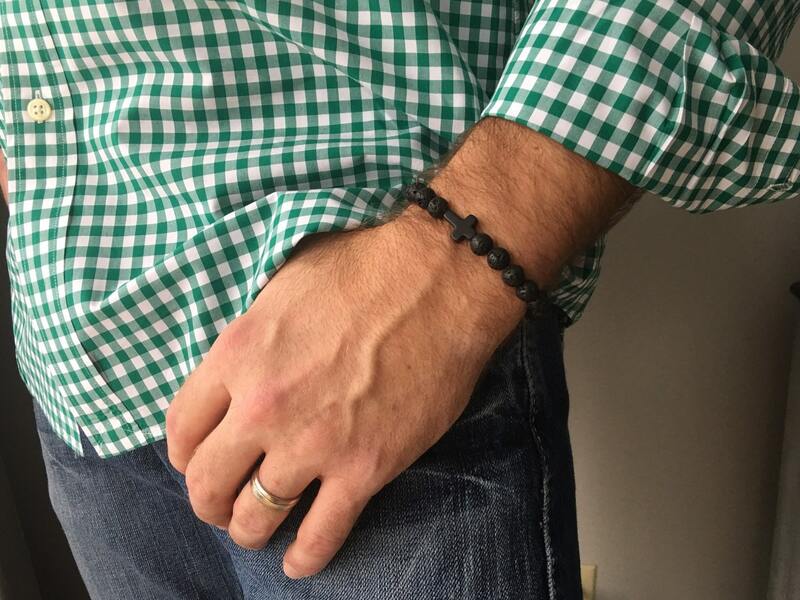 So cool for you or the man in your life. 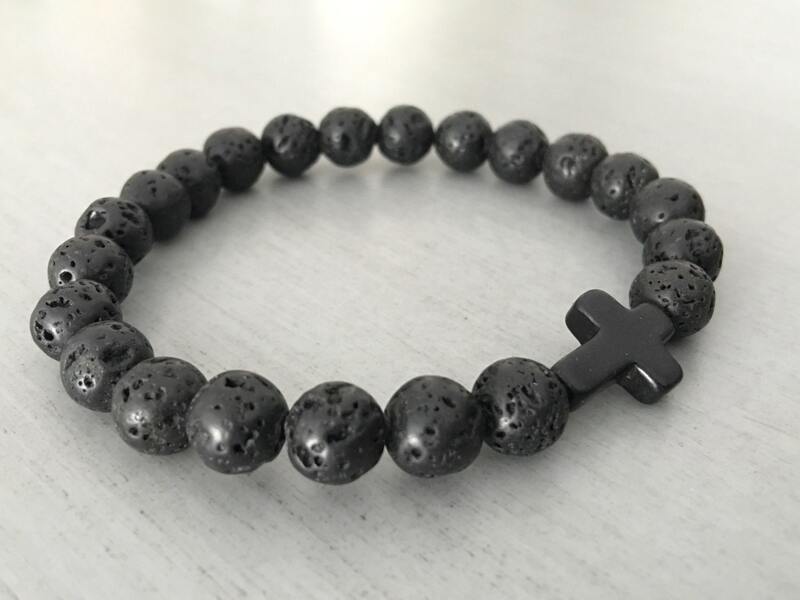 The 8mm black lava stone beads are manly and hip. Last picture shows a styling option. Please be aware that because of the unique and handmade nature of these bracelets...colors, shapes and designs may vary slightly from the pictures and/or descriptions. 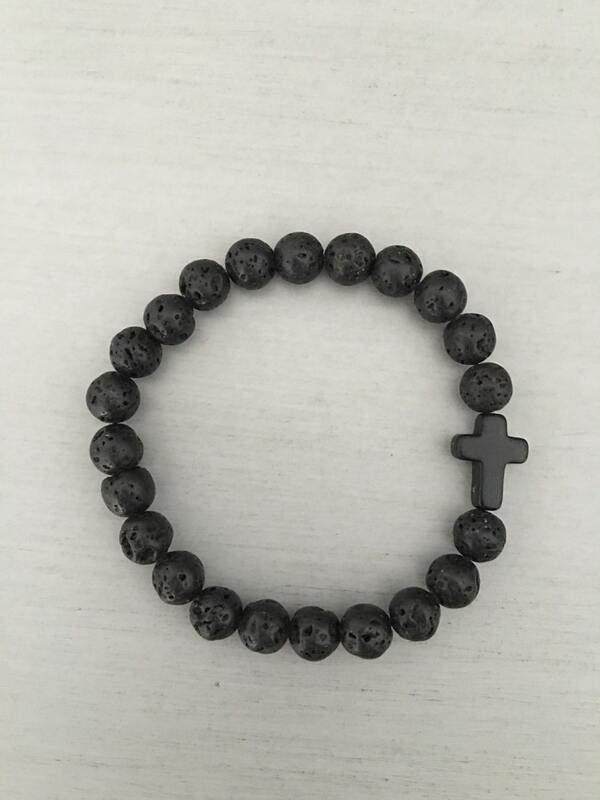 Please treat your bracelets gently. To extend the life of your bracelets please roll them on, avoid getting them wet and store them in an airtight bag. 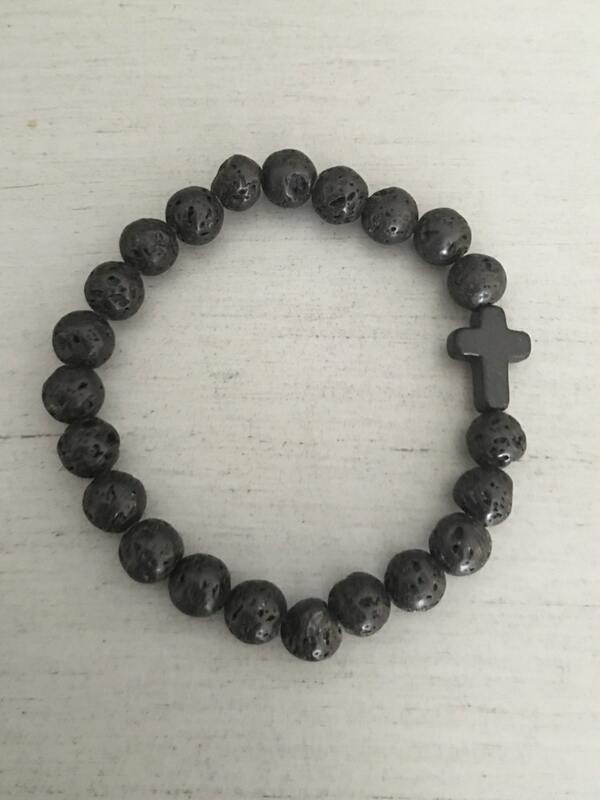 Last picture shows a styling option available from Centered Jewelry. PaymentAccepted form of payment is Credit Cards or Paypal. Credit and debit cards may be used through Paypal. YOU DO NOT NEED A PAYPAL ACCOUNT TO PAY FOR YOUR ITEM. You can pay through Paypal without setting up an account. Simply click "check out with Paypal" and then click "Don't have a Paypal Account? Pay with your debit or credit card as a Paypal guest". All items are shipped via USPS, unless otherwise requested by the buyer. I ship to the address on your Paypal account so please make sure it is correct.. Insurance and delivery confirmation may be requested by the buyer, but is an additional expense. If you are not completely satisfied with your purchase please contact me via Etsy conversation system. Returns may be made within 5 days of receipt of your package. The item must be returned in its original condition and unused. I will exchange/refund the merchandise once it is returned to me. The customer is responsible for return shipping. Funds can only be refunded via PayPal. Please contact me before leaving feedback so I can do my best to make sure you have a positive experience. Thanks! Any refunds are issued, minus shipping and handling charges, will be through Paypal transfer. - Customer is responsible for shipping order back to seller. 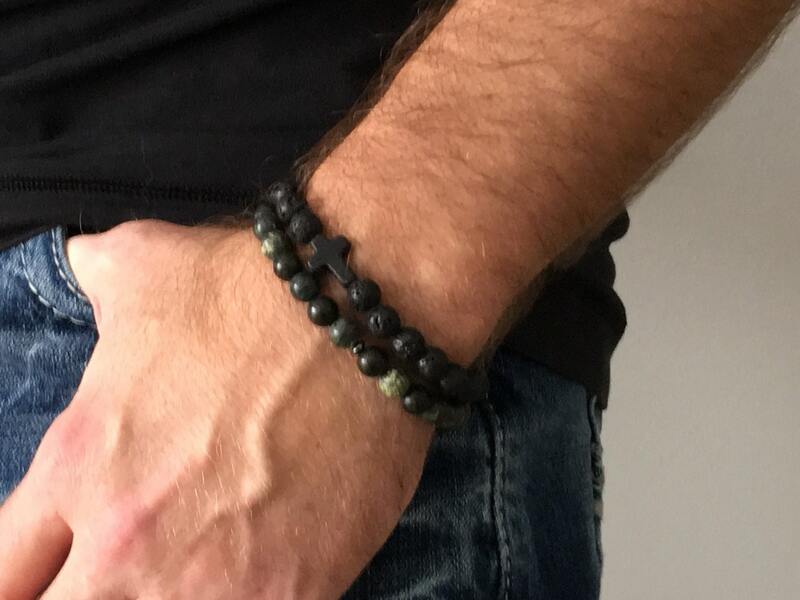 I just received the bracelet in the mail today and I absolutely love it! Came packaged nicely, safely packed and super quick. Can’t wait to give it to my husband to be! very comfortable,stylish and religious too!